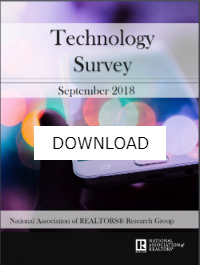 The National Association of REALTORS®* recently surveyed its members about the current technology landscape in the real estate industry. The published results offer Brokers some valuable insights into technology trends, needs, wants and perceptions they may want to consider when planning out their strategies and technology spend for 2019. 51 percent of respondents described the technology provided by their broker as being somewhat easy to use, while 39 percent said the technology provided was very easy to use. 35 percent of respondents were somewhat satisfied, and 29 percent were completely satisfied with the level of technology provided by their Broker. 45 percent of respondents said that the price their broker charges for technology fees is reasonable. 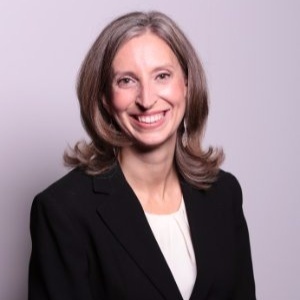 39 percent of respondents are charged a monthly technology fee by their broker, while 18 percent have a percentage of their commission split for technology products and services. 21 percent of respondents said that there are technology tools not provided by their broker, that they wish their broker would provide. iBroker is integrated with industry leading software, including QuickBooks Online, dotloop, SkySlope, DocuSign Transaction Rooms, iFranchise and The Profit Centre, to help simplify and streamline real estate office administration. Watch this video for a quick overview of iBroker. Note: All product names, logos and brands are property of their respective owners. Subscribe to the iBroker Blog to learn more or visit goibroker.com.